Shimla/Manali (IANS) Members of the hospitality industry in Himachal Pradesh are pinched by heat of the Lok Sabha elections as tourists footfall across various destinations in the state has nosedived even on a weekend break. New Delhi, April 22 (IANS) The Supreme Court on Monday agreed to examine Congress leader Sanjay Nirupam's appeal for quashing a defamation case filed against him by Union Minister and BJP leader Smriti Irani in 2013. Kolkata, April 22 (IANS) BJP President Amit Shah on Monday said the refugees in Bengal and elsewhere in the country will not face any problems due to the implementation of National Register of Citizens (NRC), as all of them will be given Indian citizenship through the Citizenship Amendment Bill before that. New Delhi, April 22 (IANS) The Reserve Bank of India could consider another 25 bps cut in 1HFY20 to address the domestic growth concerns, said a report from Kotak Economic Research. Los Angeles, April 22 (IANS) Former Eggheads star CJ de Mooi has said that he is dying after spending years battling AIDS and he's about to be left homeless after being made bankrupt. New Delhi, April 22 (IANS) Right-arm pacer Hamid Hassan has been included in the 15-member Afghanistan squad for the upcoming World Cup slated to be held in England and Wales from May 30. London, April 22 (IANS) London Olympic Gold medallist Etienne Stott was one of the many Extinction Rebellion activists arrested in London protesting against climate change at the Waterloo Bridge here on Sunday evening. Colombo, April 22 (IANS) Battling the spread of hate speech on social media platforms especially Facebook for long, the Sri Lanka government on Sunday once again "temporarily blocked" social media from spreading fake news in the wake of deadly suicide bombings in the island that killed 290 people. 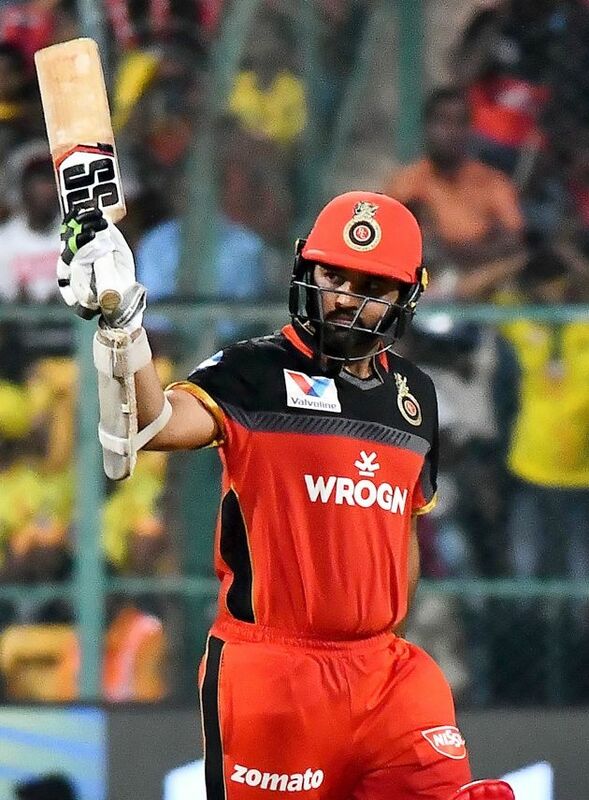 Bengaluru, April 22 (IANS) Parthiv Patel, who starred with the bat and effected a match-winning run out for Royal Challengers Bangalore, admitted their chance in the last ball depended on rampaging M.S. Dhoni getting beaten. New Delhi, April 22 (IANS) The Supreme Court on Monday dismissed a petition seeking a stay on the plan to construct a memorial for former Tamil Nadu Chief Minister late J. Jayalalithaa on the Marina Beach in Chennai. Bengaluru, April 22 (IANS) Cricket fans at the Chinnaswamy Stadium in Bengaluru became witnesses to yet another vintage Dhoni knock on Sunday. 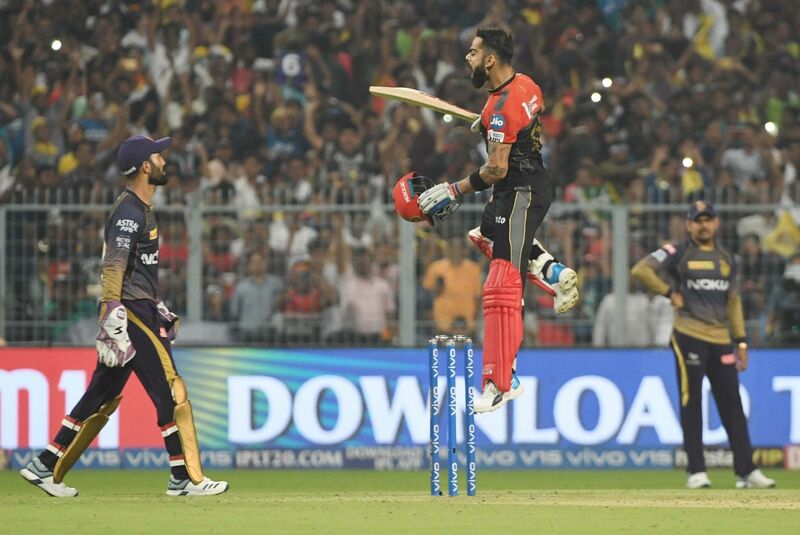 MSD, popularly known as 'Thala' by his Chennai Super Kings (CSK) fans, was at his absolute best as he nearly pulled off one of the greatest chases in the history of Indian Premier League (IPL). New Delhi, April 22 (IANS) The Congress on Monday released the list of candidates on six out of the seven parliamentary constituencies in Delhi for the May 12 Lok Sabha polls in the national capital. New Delhi, April 22 (IANS) The RBI could soon start discussions to break away from the convention of reducing key policy rate by 25 basis points or multiples thereof shortly with stakeholders like lenders, domain experts and within the Central Bank. Bengaluru, April 22 (IANS) Chennai Super Kings (CSK) captain MS Dhoni has become the first Indian batsman to hit 200 sixes in the Indian Premier League (IPL). 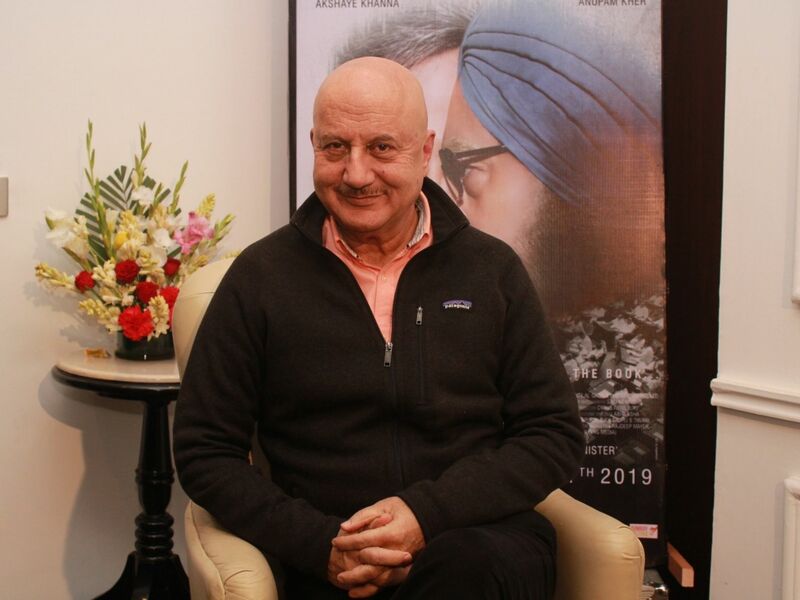 Chandigarh, April 22 (IANS) On a day when nominations for the May 19 Lok Sabha elections on 13 seats in Punjab begins, Chief Minister Amarinder Singh said that he is confident about delivering on his 'Mission 13' promise of winning all seats in the state. Lucknow, April 22 (IANS) As campaigning ended in Rampur on Sunday evening, another salvo was fired at Bharatiya Janata Party candidate Jaya Prada from the Azam Khan camp. Mumbai, April 22 (IANS) The benchmark Sensex opened on a weak note on Monday, and was trading nearly 250 points lower owing to a steep rise in the crude oil prices. Tokyo, April 22 (IANS) Tokyo prosecutors on Monday indicted former Nissan Motor Co. Chairman Carlos Ghosn over a fresh charge of misusing company funds paid to a distributor in Oman, yet another setback for the once-celebrated auto tycoon who maintains he is innocent of all allegations. New Delhi, April 22 (IANS) Protesters on Monday gathered outside the Supreme Court complex demanding an independent probe into the sexual harassment allegation raised against Chief Justice of India Ranjan Gogoi. 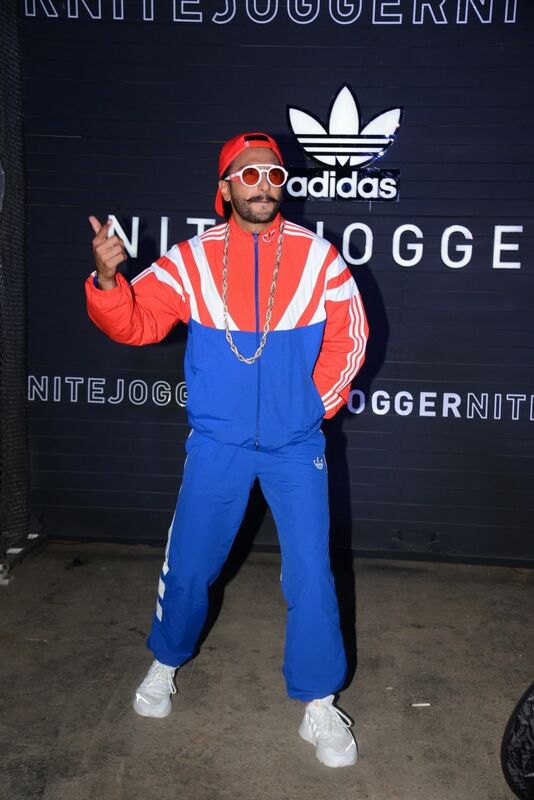 Los Angeles, April 22 (IANS) Rapper Kanye Wests Sunday Service wasnt the only big draw on the last day of Coachella. His worship-inspired merchandise boasted lines that stretched across the field. Mumbai, April 22 (IANS) The Brihanmumbai Municipal Corporation (BMC) on Monday finally accorded permission to Raj Thackeray-led Maharashtra Navnirman Sena (MNS) for holding a public rally here at Shahid Bhagat Singh Maidan, Kala chowki on April 23. Ottawa, April 22 (IANS) The bodies of three professional climbers have been found, almost a week after they were presumed dead in an avalanche at Canada's Banff National Park. New Delhi, April 22 (IANS) In what suggests a beginning of larger partnership, low-cost carrier SpiceJet has announced to enter into a code-share agreement with Dubai's flag carrier Emirates. New Delhi, April 22 (IANS) Prime Minister Narendra Modi on Monday reiterated his commitment to work towards the well-being of planet Earth with focus on sustainable development, on Earth day. 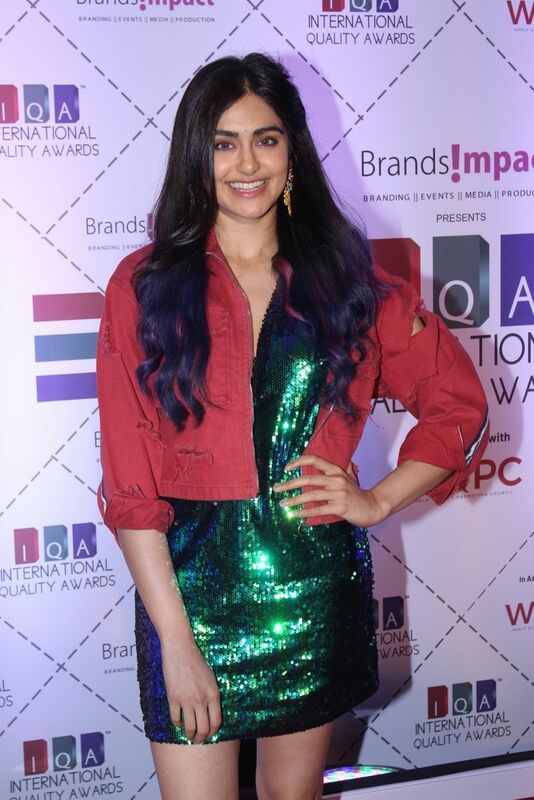 Bengaluru, April 22 (IANS) M.S. 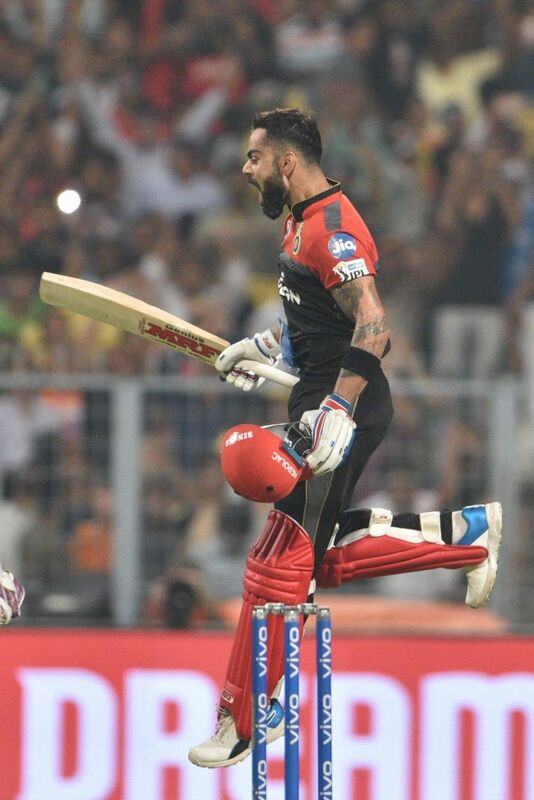 Dhoni did what he does best and almost pulled off a miraculous run-chase, prompting Virat Kohli to go through a lot of emotions as Royal Challengers Bangalore beat Chennai Super Kings by one run. Washington, April 22 (IANS) US Secretary of State Mike Pompeo will announce on Monday that all countries including India will have to completely end their imports of Iranian oil or be subject to American sanctions, The Washington Post reported. Beijing, April 22 (IANS) India on Monday told China to be sensitive to its concerns as Foreign Secretary Vijay Gokhale met Chinese State Councillor Wang Yi here, with whom he is likely to raise the issue of blacklisting Pakistan-based terrorist Masood Azhar. 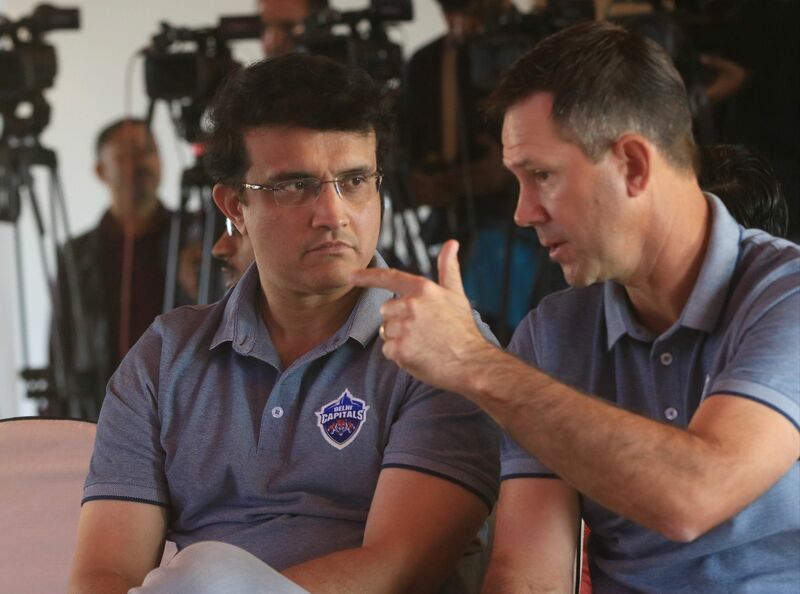 New Delhi, April 22 (IANS) Mumbai Indians have released all the players for four days to ensure that they relax, spend time with their families and return strong for the business end of the tournament. With the 2019 World Cup starting just after the 12th edition of the Indian Premier League, India skipper Virat Kohli had time and again spoken about the need for players to be smart and manage their workload well to stay fresh for the showpiece event. New York, April 22 (IANS) In a show of Colombo's firm control over its China-managed Hambanatota port, Sri Lanka is conducting a naval exercise with the US there. 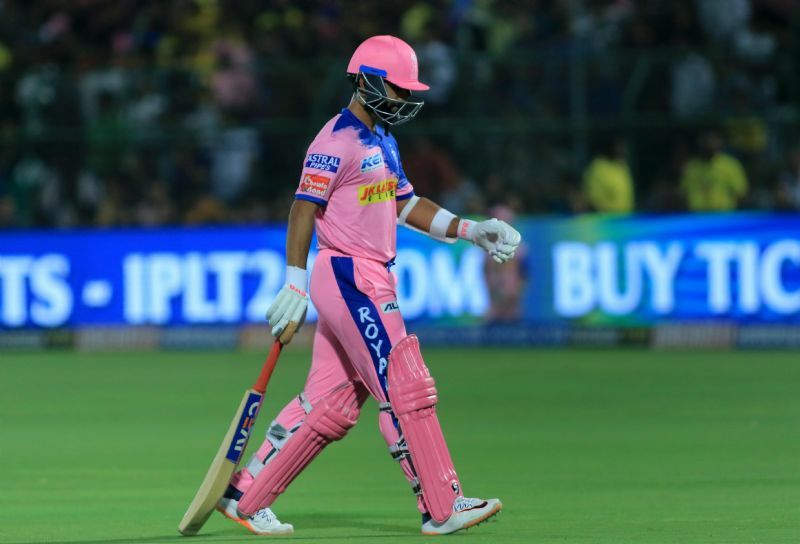 Chasing 162, CSK managed to score 160/8 in their stipulated 20 overs, thus succumbing to their second consecutive loss in the ongoing edition of the Indian Premier League (IPL). Colombo, April 22 (IANS) Five Indians are among the 290 people who have been confirmed dead in the deadly Easter Sunday suicide bombings in Sri Lanka, as police spokesman Ruwan Gunasekera on Monday confirmed that 24 suspects have been arrested for their involvement in the island's bloodiest attacks in a decade. Colombo, April 22 (IANS) With the death toll in the deadly Easter Sunday suicide bombings in Sri Lanka increasing to 290, police spokesman Ruwan Gunasekera on Monday confirmed that 24 people have been arrested for their involvement in the island's bloodiest attacks in a decade. Beijing, April 22 (IANS) India on Monday told China to be sensitive to its concerns as Foreign Secretary Vijay Gokhale met Chinese State Councilor Wang Yi here with whom he is likely to raise the issue of blacklisting Pakistan-based terrorist Masood Azhar. Colombo, April 22 (IANS) The death toll in the deadly Easter Sunday suicide bombings in Sri Lanka has increased to 290, police spokesman Ruwan Gunasekera said on Monday. Colombo, April 22 (IANS) Sri Lankan Police on Monday confirmed that 13 people have been arrests so far for the deadly explosions that ripped through the island nation on Easter Sunday killing over 200 people, and injuring about 500 others. Colombo, April 22 (IANS) Sri Lankan Police on Monday confirmed that 14 people have been arrests so far for the deadly explosions that ripped through the island nation on Easter Sunday killing over 200 people, and injuring above 500 others. Rabat, April 22 (IANS) Kenyan athletes dominated Morocco's Rabat International Marathon as they swept most of the medals in both men's and women's races on Sunday. Bogota, April 22 (IANS) At least 14 people were killed and several others injured when a mudslide buried homes in a small community in Colombia on Sunday, the National Unit for Disaster Risk Management (UNGRD) said. Gaborone, April 22 (IANS) Junior tennis players from around the world shone at the International Tennis Federation (ITF) J5 World Tour tournament that ended in Botswana. New Delhi, April 22 (IANS) Finance Minister Arun Jaitley on Sunday attacked the "institutional destabilizers" saying that their lending shoulder to "completely unverified allegations" was destabilising the institution of the Chief Justice of India and said that if those peddling "falsehood" were not dealt with in an exemplary manner, the trend will only accelerate. Rabat, April 22 (IANS) The Islamic Educational, Scientific and Cultural Organization (ISESCO) strongly condemned the deadly bomb attacks in Sri Lanka. Los Angeles, April 22 (IANS) Reality TV star Kim Kardashian West would never use her fame and privilege to get her children into college. Los Angeles, April 22 (IANS) Hollywood actress Elle Fanning, known for films like "Teen Spirit", "Maleficent" and "We Bought a Zoo", dreams of becoming a pop star. Bangalore, April 22 (IANS) Chennai Super Kings (CSK) skipper Mahendra Singh Dhoni's scintillating 48-ball unbeaten 84 went in vain as his side failed to cross the line by just one run in yet another edge-of-the-seat contest against Royal Challengers Bangalore (RCB) at the M. Chinnaswamy Stadium, here on Sunday. Los Angeles, April 22 (IANS) Actress Jenna Dewan has said that she lived in Peru with a tribe for two weeks to "heal" after her split from actor Channing Tatum. New Delhi, April 22 (IANS) A day after actor Sunny Deal met BJP President Amit Shah, giving indication that he may be fielded from Amritsar, the party on Sunday announced Union Minister Hardeep Singh Puri as its candidate from the seat. Ghaziabad, April 22 (IANS) A man killed his wife and three children and wife here and is missing after telling a relative that he was going to do away with himself, police said on Sunday. 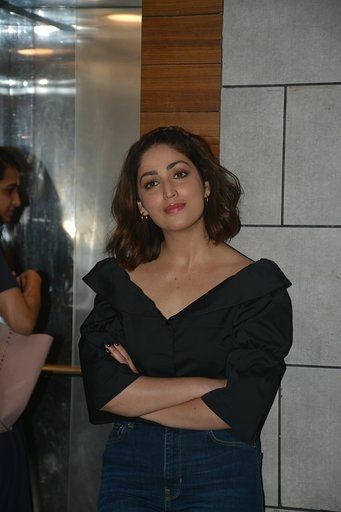 New Delhi, April 22 (IANS) Four Indians were among those killed in the suicide bombings in Sri Lanka on Easter Sunday, while many others, including a leading Tamil actress, had a narrow escape. Chandigarh, April 21 (IANS) Raising the bar for itself for the Lok Sabha elections in Haryana, the Congress on Sunday announced the name of former Chief Minister Bhupinder Singh Hooda for the Sonipat seat and Bhavya Bishnoi, a grandson of former Haryana strongman Bhajan Lal, for the Hisar seat. Bhubaneswar, April 21 (IANS) Election to the Patkura Assembly constituency in Odisha's Kendrapara district has been adjourned following the death of Biju Janata Dal (BJD) candidate Bed Prakash Agarwalla, a poll official said on Sunday. Colombo, April 21 (IANS) At least 207 people were killed and 469 injured when eight suicide bombings, mainly in Colombo, ravaged Sri Lanka on Easter Sunday in the island's bloodiest day since the civil war ended a decade ago. Four Indians, two of them women. were among the dead while some others had a narrow escape. Chennai, April 21 (IANS) At least seven persons, including four women, died and 12 others were injured in a stampede in a private temple in Tiruchirappali district in Tamil Nadu on Sunday, an official statement said. 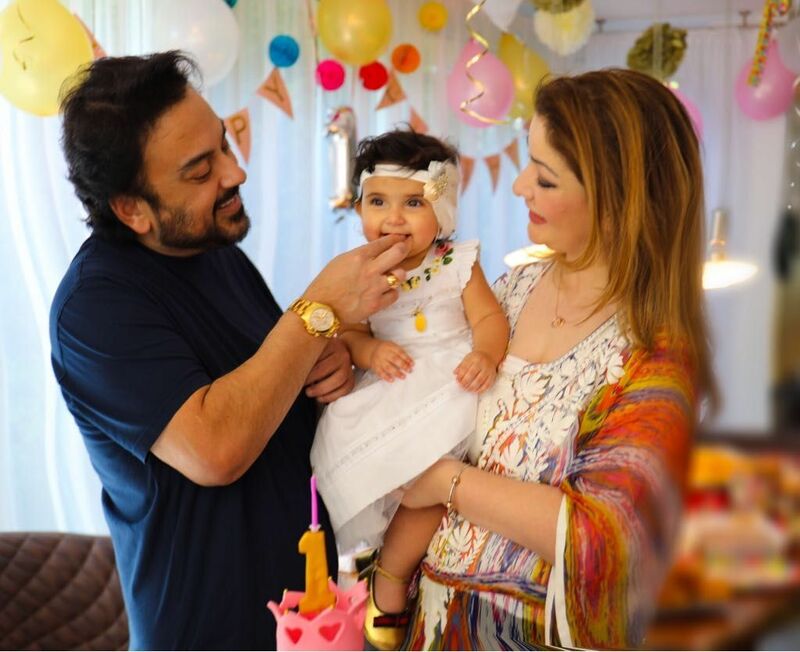 Chennai, April 21 (IANS) Noted Indian Tamil actor Radikaa Sarathkumar on Sunday had a providential escape as the bomb in the Cinnamon Grand hotel in Colombo exploded just after she had checked out. New York, April 21 (IANS) The United States denounced the Easter bombings in Sri Lanka as an affront to universal values and confirmed that many of its citizens were among the victims. New Delhi, April 21 (IANS) The Crime Branch of Delhi Police, which is probing the alleged murder of late Congress leader N.D. Tiwari's son Rohit Shekhar, said on Sunday that Shekhar's wife, Apoorva Tiwari, and a domestic help who works as a driver are the prime suspects in the case. Amaravati, April 21 (IANS) The Andhra Pradesh government Sunday ordered an inquiry into alleged lapses in release and transportation of the gold belonging to Tirupati temple in the wake of seizure of 1,381 kg of gold by the Election Commission in Tamil Nadu four days ago. New Delhi, April 21 (IANS) Senior Congress leader P. Chidambaram said that if voted to power, his party will re-establish an empowered and fully equipped National Security Advisory Board. Chandigarh, April 21 (IANS) After witnessing the embarrassing defeat of its high-profile candidate Arun Jaitley in the 2014 Lok Sabha elections, the Bharatiya Janata Party (BJP) on Sunday announced the name of Union Minister Hardeep Puri from the Amritsar seat for the May 19 parliamentary election. New Delhi, April 21 (IANS) Eight former Directors General of Police on Sunday condemned as "despicable and regrettable" BJP's Bhopal candidate Sadhvi Pragya Singh Thakur's comment that it was her "curse" that led to the killing of police officer Hemant Karkare by terrorists. New Delhi, April 21 (IANS) Three Indians are among those killed in the suicide bombings in Sri Lanka on Easter Sunday, External Affairs Minister Sushma Swaraj said. 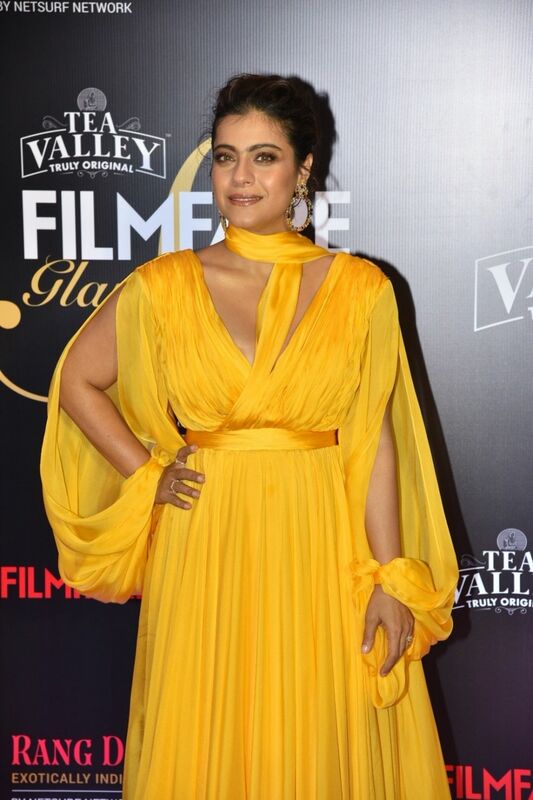 Many others, including a leading Tamil actress, had a narrow escape. 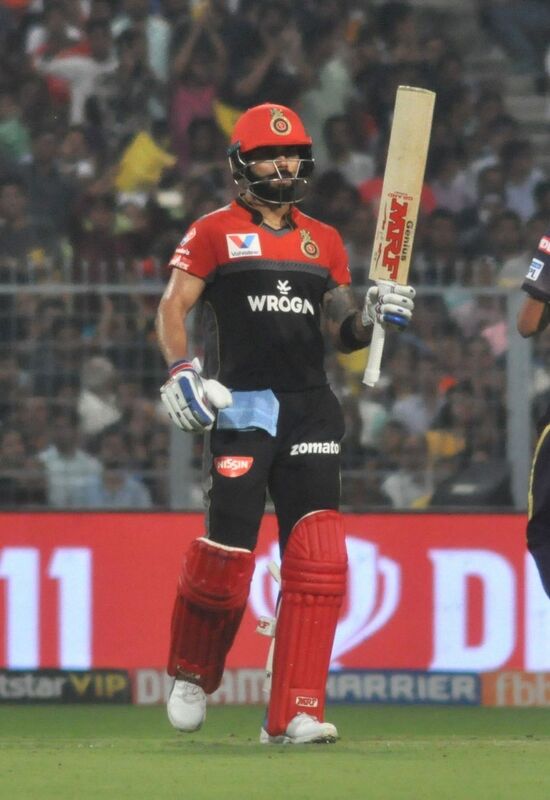 Bangalore, April 21 (IANS) Opener Parthiv Patel's (53 off 37) half-century followed by Moeen Ali's quick 16-ball 26 propelled Royal Challengers Bangalore (RCB) to 161/7 against Chennai Super Kings (CSK) in an Indian Premier League (IPL) match at the M. Chinnaswamy Stadium, here on Sunday. Shillong, April 21 (IANS) Political and church leaders in Meghalaya and Nagaland on Sunday strongly condemned the multiple blasts that rocked Sri Lanka on Sunday. New Delhi, April 21 (IANS) Indian Army's former Northern Command Chief D.S. Hooda, who directed the 2016 cross-LoC surgical strikes, on Sunday said one surgical strike or air strike won't make Pakistan change its behaviour. 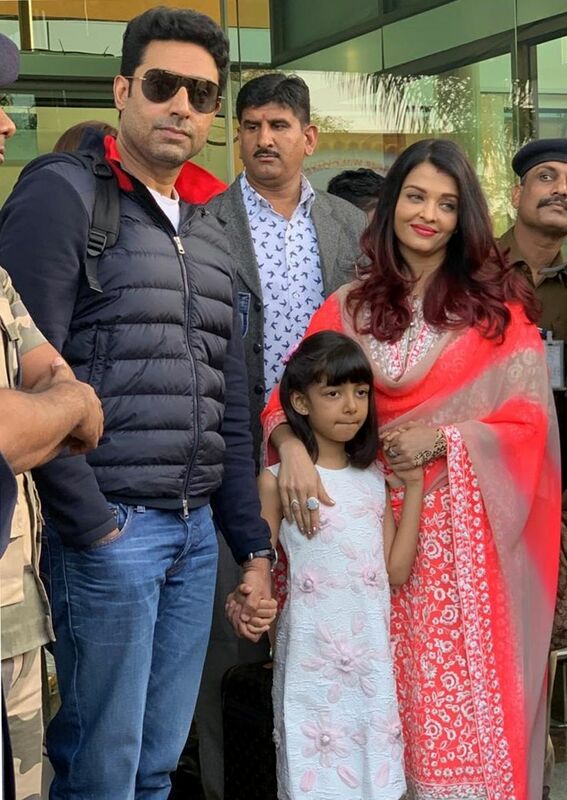 Bhubaneswar, April 21 (IANS) The high voltage campaign for the third phase of Lok Sabha and Assembly elections in Odisha concluded on Sunday. Amaravati, April 21 (IANS) Five persons from Andhra Pradesh's Anantapur district had a narrow escape in the serial bomb blasts that rocked Sri Lanka on Sunday, killing over 200 people. New Delhi, April 21 (IANS) The Congress on Sunday announced the name of five Lok Sabha candidates in Haryana including former Chief Minister Bhupinder Singh Hooda who will contest from Sonipat. Bengaluru, April 21 (IANS) The high-voltage campaign in Karnataka's remaining 14 Lok Sabha constituencies across the state's western and northern parts going to polls in the third phase of the Lok Sabha elections on April 23 concluded on Sunday. Thiruvananthapuram, April 21 (IANS) Campaign for the Lok Sabha elections came to a close across Kerala at 6 p.m. on Sunday amid reports of skirmishes between workers of the three rival political parties coming in from several parts of the state. Srinagar, April 21 (IANS) The District Electoral Officer of Anantnag Lok Sabha constituency on Sunday reviewed the final preparedness for first phase of polling in the seat on April 23. Colombo, April 21 (IANS) At least 207 people were killed and 469 injured when eight suicide bombings, mainly in Colombo, ravaged Sri Lanka on Easter Sunday in the island's bloodiest day since the civil war ended a decade ago. Three Indians were among the dead. New Delhi, April 21 (IANS) Senior Congress leader and former Union Minister Jairam Ramesh on Sunday said that India has emerged as a major global power by efforts done over the last 50 years, not just in five years. 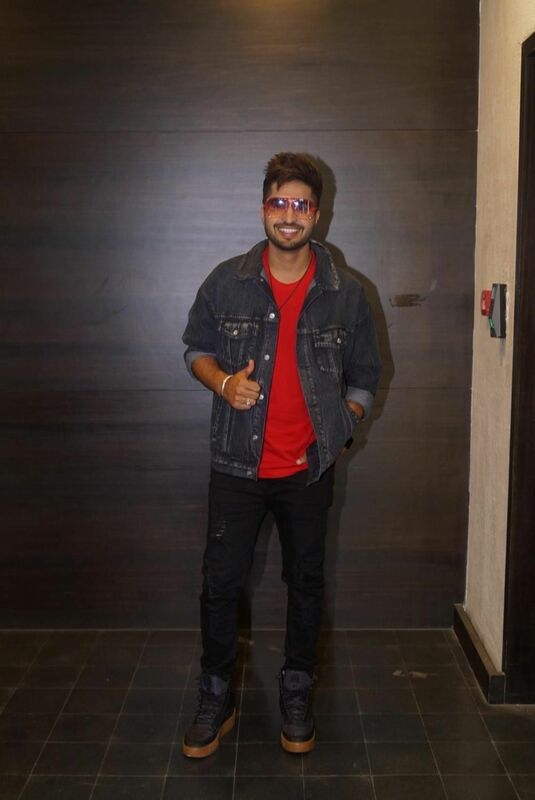 Mumbai, April 21 (IANS) Actor Manish Goel, known for shows like "Kasautii Zindagii Kay", will be seen portraying a police officer for the first time on TV, and is happy about it. New Delhi, April 21 (IANS) In wake of the terrorist attacks in Sri Lanka on Sunday, Air India and IndiGo have announced a total waiver of cancellation and rescheduling charges for passengers flying to and from Colombo till April 24. United Nations, April 21 (IANS) UN Secretary General Antonio Guterres on Sunday expressed outrage over the Easter bombings of churches and hotels in Sri Lanka and called for "swift justice" to the perpetrators. New Delhi, April 21 (IANS) The third phase of Lok Sabha elections scheduled for Tuesday will see the maximum number of seats going to the polls in a single phase -- 117 across 15 states and Union Territories. New Delhi, April 21 (IANS) Three Indians are among those killed in the suicide bombings in Sri Lanka on Easter Sunday, External Affairs Minister Sushma Swaraj announced. Barmer, April 21 (IANS) Prime Minister Narendra Modi on Sunday said that India is no longer afraid of Pakistan's nuclear threats as today it is among the world powers with capability to carry out nuclear attacks across all three media - land, water, and air. Kolhapur, April 21 (IANS) After a thrilling first day of action, the second day of the Junior Girls' National Football Championships, here on Sunday, featured five games as the first round of fixtures in the group stages came to a close. New Delhi, April 21 (IANS) The BJP on Sunday announced seven more Lok Sabha candidates, repeating Union Minister Harsh Vardhan from Delhi's Chandni Chowk and fielding Union Minister Hardeep Singh Puri from Amritsar. New Delhi, April 21 (IANS) Shiva Thapa (60kg) is now one win away from securing a record fourth medal at the Asian Boxing Championships as five Indian boxers entered the quarter-finals on day three of this prestigious continental tournament in Bangkok, Thailand, on Sunday. Colombo, April 21 (IANS) At least 207 people were killed and 469 injured when eight suicide bombings, mainly in Colombo, ravaged Sri Lanka on Easter Sunday in the island's bloodiest day since the civil war ended a decade ago. An Indian woman was among the dead. 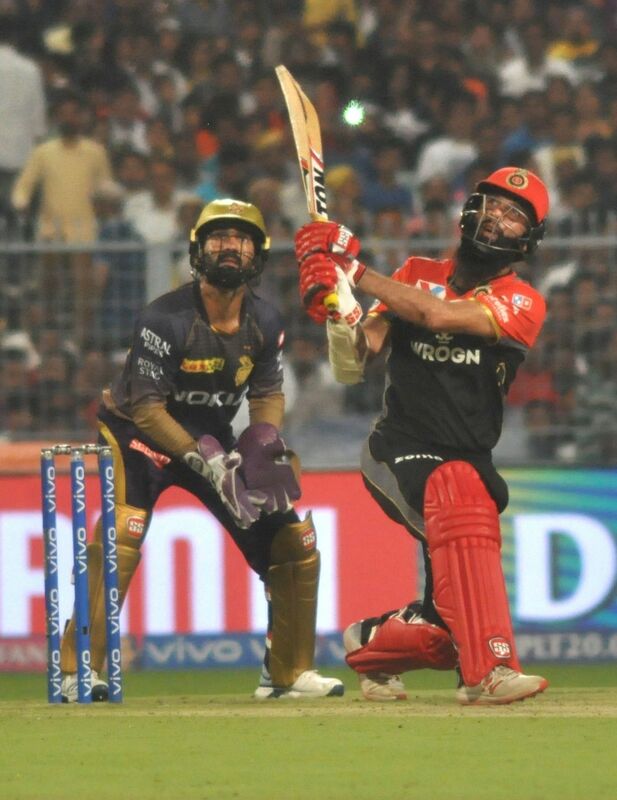 Hyderabad, April 21 (IANS) Valiant knocks by Sunrisers Hyderabad (SRH) openers David Warner (67 off 38) and Jonny Bairstow's (80 unbeaten off 43) guided the team to a massive nine-wicket win over Kolkata Knight Riders (KKR) in an Indian Premier League (IPL) tie, here on Sunday. Guwahati, April 21 (IANS) Campaigning came to an end on Sunday for the remaining four Lok Sabha constituencies in Assam and one of Tripura's two parliamentary seats which are going to polls as part of the third phase on Tuesday. Patna, April 21 (IANS) Campaigning concluded on Sunday for 5 of the 40 Lok Sabha seats in Bihar going to polls in the third phase on Tuesday. The constituencies going to vote in this phase are Madhepura, Supaul, Jhanjharpur, Khagaria and Araria in the flood-prone Seemanchal. Bengaluru, April 21 (IANS) Chennai Super Kings (CSK) skipper M.S. Dhoni won the toss and opted to bowl against Royal Challengers Bangalore (RCB) in their return fixture at the M. Chinnaswamy Stadium here on Sunday. Gayeshpur (West Bengal), April 21 (IANS) Attacking the special observers appointed by Election Commission in West Bengal, Chief Minister Mamata Banerjee on Sunday accused the Centre of trying to run a parallel government in the state by sending in "officers from Delhi". New Delhi, April 21 (IANS) Airfares on domestic routes, especially those connecting non-metro cities, remain high with suspension of Jet Airways flights. The average ticket prices have gone up in the range of 10-15 per cent across various sectors even as airlines like SpiceJet and IndiGo have mounted additional capacity. Kolkata, April 21 (IANS) Special Poll Observer Ajay Nayak's comments, comparing the current election scenario in West Bengal to that of Bihar over 10 to 15 years ago, has kicked up a political storm in the state with an angry Trinamool Congress seeking his recall and an elated opposition going hammer and tongs at the state's ruling party. 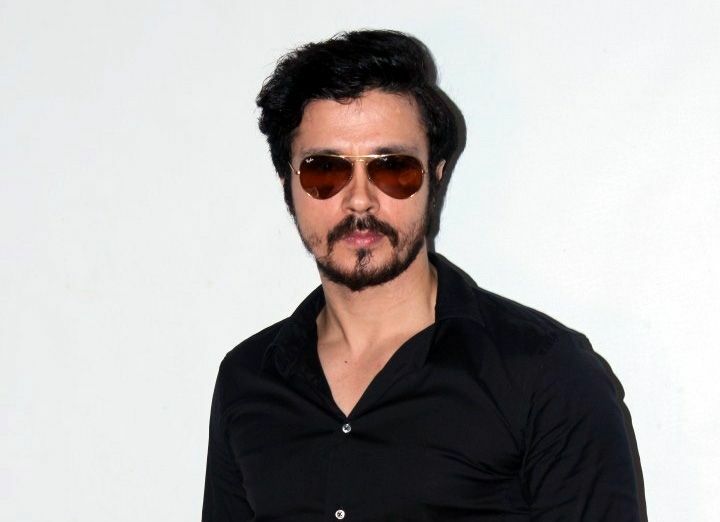 Mumbai, April 21 (IANS) Actor Manish Goel, known for shows like "Kasautii Zindagii Kay", will be seen portraying a police officer, first time on TV, and is happy about it. 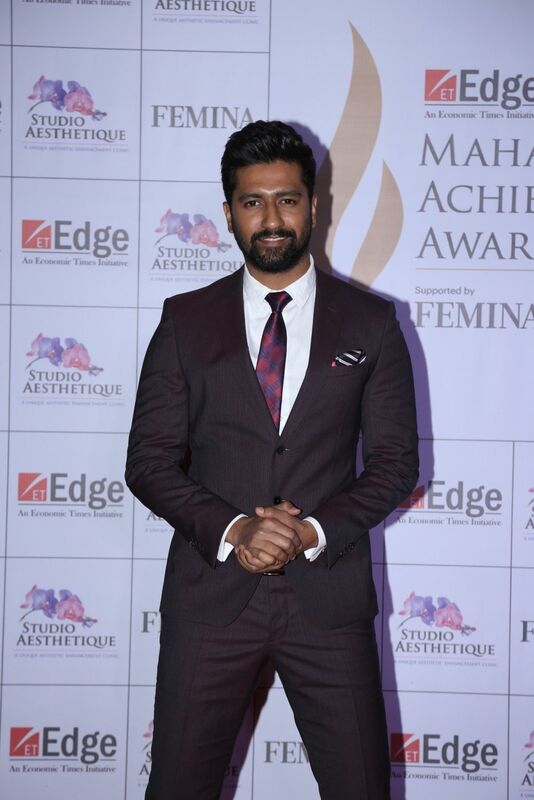 "I'm playing a cop for the first time for the show 'Crime Patrol Dastak' special and the role of very powerful and strong," Manish said in a statement. New Delhi, April 21 (IANS) Congress President Rahul Gandhi on Sunday condemned the terror attacks in Sri Lanka on Easter Sunday, terming it a "diabolical act of terrorism". Chittorgarh (Rajasthan), April 21 (IANS) Prime Minister Narendra Modi on Sunday, condemning the terror attacks on Sri Lanka on the holy occasion of Easter, asked people to vote for his BJP to eradicate terror. Colombo, April 21 (IANS) Two Chinese nationals were confirmed killed in a series of explosions in Sri Lanka on Sunday, the Chinese Embassy said. Colombo, April 21 (IANS) Multiple blasts which shook Sri Lanka on Easter Sunday claimed 207 lives while more than 450 others were wounded, police said. New Delhi, April 21 (IANS) The first edition of the three-day biannual Naval Commanders' conference, to begin in New Delhi on Tuesday, will review major operations undertaken during the past six months, according to a press statement here on Sunday. Wayanad (Kerala), April 21 (IANS) From the moment it was announced that Congress President Rahul Gandhi will contest the Wayanad Lok Sabha seat, for many his victory was a foregone conclusion. The opposition disagrees. 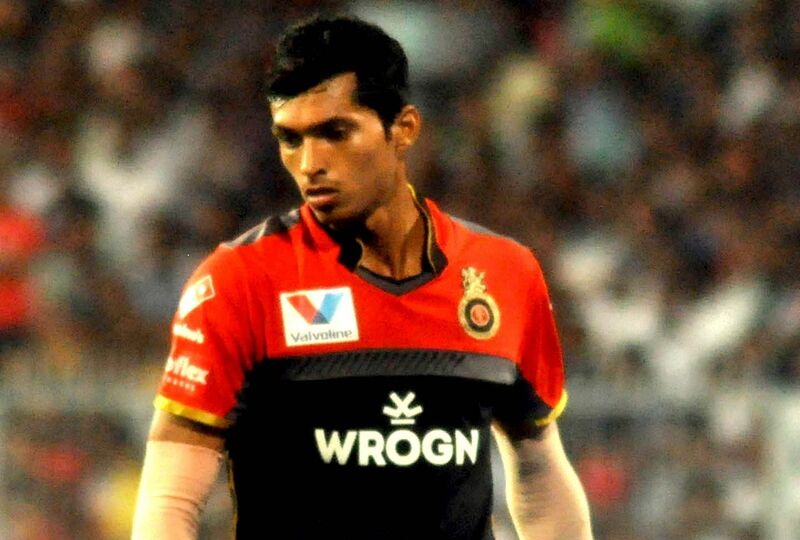 Hyderabad, April 21 (IANS) Three wickets from left-arm pacer Khaleel Ahmed helped Sunrisers Hyderabad (SRH) restrict Kolkata Knight Riders (KKR) to 159/8 at the Rajiv Gandhi International Stadium, here on Sunday. Panaji, April 21 (IANS) The Bharatiya Janata Party (BJP) and the Congress have expressed confidence of winning the two Lok Sabha polls and three Assembly by-elections, campaigning for which concluded at 5 p.m. on Sunday. The seats will go to polls on April 23. Chennai, April 21 (IANS) Internal differences of opinion on employees taking over the management of Jet Airways did not permit pursuing the idea, but employees are ready to fully cooperate with any new investor for turning around the the financially crippled company, a senior official of the National Aviators Guild (NAG) said on Sunday. Beijing, April 21 (IANS) Two Indian warships, including its biggest stealth destroyer, on Sunday arrived at China's eastern port city of Qingdao to participate in a Chinese naval parade which will be attended by the navies from about a dozen countries. Shimla, April 21 (IANS) The filing of nominations for the four Lok Sabha seats in Himachal Pradesh, that go to polls on May 19, will start on Monday and continue till April 29, election officials said on Sunday. Kolkata, April 21 (IANS) The campaign for the third phase of the Lok Sabha elections in West Bengal ended on Sunday in five parliamentary constituencies scheduled to vote on April 23. Colombo, April 21 (IANS) Leaders from India and other countries on Sunday condemned the series of attacks on churches and luxury hotels in Sri Lanka which have killed 190 people and injured more than 450 amid Easter celebrations in the country. New Delhi, April 21 (IANS) Domestic fuel prices stayed unchanged across the metro cities on Sunday, with petrol selling at Rs 73 per litre in the national capital for the second straight day. Colombo, April 21 (IANS) Three police officers were killed in an eighth explosion in Sri Lanka on Easter Sunday, taking the total death toll to 190. New Delhi, April 21 (IANS) Campaigning came to an end on Sunday in 117 constituencies spread over 15 States and Union Territories, which will go to the polls on Tuesday in the third phase of the mega seven-phase electoral exercise. New Delhi, April 21 (IANS) The implementation of municipal solid waste management (MSWM) through the Public-Private Partnership (PPP) model in Indian cities will require the investment of $5 billion (around Rs 34,695 crore) per year, a joint report by industry chamber Assocham and British advisory multinational Ernst &amp; Young (EY) said on Sunday. New Delhi, April 21 (IANS) Congress on Sunday released its plan on national security which emphasises on five key issues - assuming India's rightful place in global affairs, securing the neighbourhood, internal security, protecting people and strengthening capabilities. Shimla, April 21 (IANS) Shimlas intrepid biker David Kumar on Sunday scored his third win on the roll in the eighth edition of Hero MTB (mountain biking) Shimla and retained the 'King of Shivaliks title, event organisers said here. New Delhi, April 21 (IANS) Congress leader P. Chidambaram on Sunday said that if India wants to change Pakistan's behaviour towards it, it should examine and change some of its conduct towards the neighbouring country. Chennai, April 21 (IANS) Tamil Nadu Chief Minister K. Palaniswami and Deputy Chief Minister O. Panneerselvam as well as DMK President M.K. Stalin condemned the mass killings by suicide bombers in Sri Lanka on Easter Sunday. Thiruvananthapuram, April 21 (IANS) A Kerala woman holidaying in Colombo was among those killed in suicide bombings in Sri Lanka on Easter Sunday, authorities here said. New Delhi, April 21 (IANS) The Indian cricket fraternity has strongly condemned the serial blasts at multiple locations in Sri Lanka on Easter Sunday, which killed 192 people and injured over 470 others. New Delhi, April 21 (IANS) The Aam Aadmi Party (AAP) on Sunday announced its Lok Sabha candidates for three seats in Haryana which it will contest in alliance with the Jannayak Janata Party (JJP). Colombo, April 21 (IANS) Islamist extremists carried out the first six major suicide bombings in Sri Lanka on Easter Sunday, The Daily Mirror reported. New Delhi, April 21 (IANS) Lt Gen (retired) D.S. Hooda on Sunday said he was hurt by Bharatiya Janata Party (BJP) leader Sadhvi Pragya Thakur's remarks on police officer Hemant Karkare, killed in the 26/11 terror attack. Panaji, April 21 (IANS) Goa Chief Minister Pramod Sawant on Sunday asked Director General of Police Pranab Nanda to beef up security of churches to prevent a Sri Lanka-like attack. Kolkata, April 21 (IANS) Five West Bengal assembly seats - Islampur, Kandi, Habibpur (ST), Nowda and Bhatpara - will go for bypolls on May 19, according to the Election Commission. Srinagar, April 21 (IANS) The electoral battle in the Ladakh Lok Sabha seat of Jammu and Kashmir has become interesting for poll watchers, but tough for contestants. Lucknow, April 21 (IANS) As the Lok Sabha election enters its third phase in Uttar Pradesh, the battle is now taking place in Yadav land with the prestige and stature of the Mulayam Singh Yadav clan on test. New Delhi, April 21 (IANS) As the May 6 deadline approaches to resolve the Jaypee Infratech Ltd (JIL) insolvency case, the battle to acquire the debt-laden company has become more intense with NBCC submitting a fresh bid on April 24 and the Adani Group also entering the fray. Colombo, April 21 (IANS) Sri Lanka declared a nationwide curfew after suicide bombers carried out a string of well-planned deadly explosions, mostly in Colombo, on Easter Sunday leaving 192 dead and 470 injured in the island's bloodiest day since the civil war ended a decade ago. New Delhi, April 21 (IANS) Invigorate Foods on Sunday said it would invest Rs 60 crore in India in three years to manufacture soya milk products. San Francisco, April 21 (IANS) Apple is planning to upgrade camera resolution and setup in iPhones, to be unveiled this year. Markets were on a roll last week and gained on two of the three trading days. The benchmark indices also hit new highs on Tuesday and Thursday and saw profit taking on Thursday before a long-extended weekend holiday set in. The undercurrent remains strong and the tussle between the bulls and bears is deeply set in. Nothing is going to end in a jiffy for sure. Thiruvananthapuram, April 21 (IANS) Christians on Sunday celebrated Easter in Kerala with most churches witnessing huge participation of devotees. The Easter mass got over in most churches around 6 a.m., with priests offering a piece of cake and, at some places, a spoon of wine to the devotees. Colombo, April 21 (IANS) The international community has strongly condemned the multiple blasts at different locations in Sri Lanka, mostly in Colombo, which left at least 185 people dead and over 400 injured on Easter Sunday. New Delhi, April 21 (IANS) The Insolvency and Bankruptcy Code (IBC) is in the process of being changed to be effective from the next fiscal to accomodate the fast changing creditor-debtor scenario, according to the Insolvency and Bankruptcy Board of India (IBBI). Agartala, April 21 (IANS) The Election Commission (EC) has made unprecedented security arrangements, including deployment of over 9,300 troopers, for the deferred voting to the Tripura East Lok Sabha constituency on Tuesday, officials said here on Sunday. 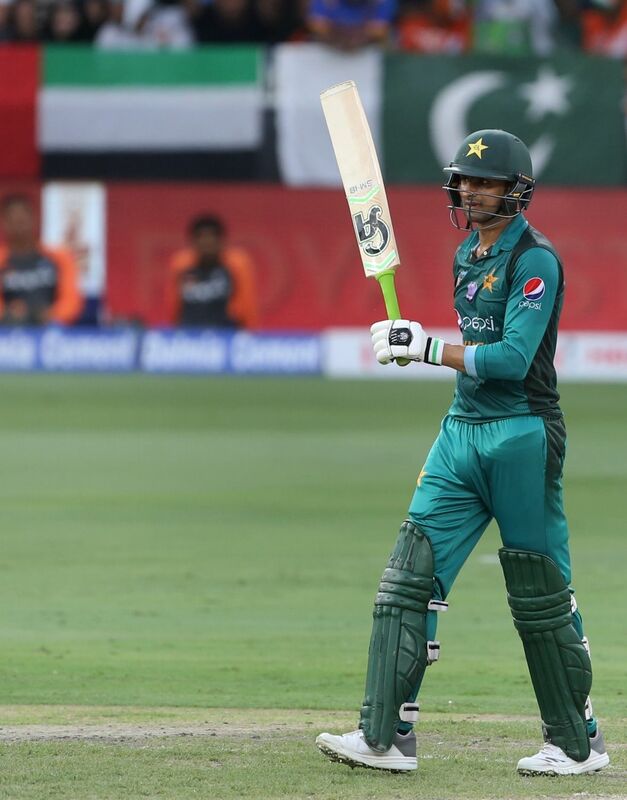 Lahore, April 21 (IANS) Senior Pakistan all-rounder Shoaib Malik believes no team is favourite to win the upcoming World Cup slated to be held in England and Wales from May 30. Beijing, April 21 (IANS) India's Foreign Secretary Vijay Gokhale arrived here on Sunday to hold talks with China's State Councillor and the country's top diplomat, Wang Yi, in which the vexed issue of blacklisting Pakistan-based terrorist Masood Azhar at the UN panel is likely to figure. Jaipur, April 21 (IANS) Prime Minister Narendra Modi condemned the terror attacks on Sri Lanka on Easter Sunday and said that India stands with the neighbouring nation at this hour of crisis. New Delhi, April 21 (IANS) Prime Minister Narendra Modi on Sunday spoke to Sri Lankan President Maithripala Sirisena and Prime Minister Ranil Wickremesinghe and called the suicide bombings in the country as "cold-blooded and pre-planned barbaric acts". Hyderabad, April 21 (IANS) Sunrisers Hyderabad (SRH) skipper Kane Williamson won the toss and elected to bowl in their Indian Premier League (IPL) encounter against Kolkata Knight Riders (KKR) at the Rajiv Gandhi International Stadium here on Sunday. Los Angeles, April 21 (IANS) Singer Ariana Grande has said the celebrity she still loves the most is Hollywood star actor Jim Carrey. Grande said she adored the "Dumb and Dumber" star even more because of his inspirational quotes about depression, reports mirror.co.uk. Patna, April 21 (IANS) The Rashtriya Janata Dal (RJD) in Bihar is contemplating disciplinary action against party chief Lalu Prasad's elder son Tej Pratap Yadav for raising a banner of revolt and "anti-party activities", said party leaders on Sunday. Bhubaneswar, April 21 (IANS) It's a fight between a former IAS official and an ex-IPS officer in the prestigious Bhubaneswar Lok Sabha constituency in Odisha. Wayanad (Kerala), April 21 (IANS) Congress General Secretary Priyanka Gandhi on Sunday said she will contest the Lok Sabha elections from Varanasi if asked by her brother and party President Rahul Gandhi. Patan (North Gujarat), April 21 (IANS) Prime Minister Narendra Modi here on Sunday asserted that the country had made up its mind to bring him back to power but said the victory will have little meaning if Gujarat did not repeat the 26-out-of-26 performance of 2014. Balurghat (West Bengal), April 21 (IANS) With a long pending railway project, lack of development, scarce job opportunities and rampant infiltration and smuggling in the region, West Bengal's ruling Trinamool Congress (TMC) has its task cut out in retaining the Balurghat Lok Sabha constituency in the face of formidable challenge from the BJP and the traditionally strong Left outfit, RSP. New Delhi, April 21 (IANS) India strongly condemned the serial blasts on multiple locations in Sri Lanka on Easter Sunday which killed 185 people, with President Ram Nath Kovind and Prime Minister Narendra Modi saying New Delhi stood in solidarity with the island nation. London, April 21 (IANS) Singer-actress Paloma Faith, who stars in the "Batman" spin-off "Pennyworth", says playing villain Bet Sykes turned her into a real-life psycho as she threatened to kill her neighbour's dog. Panaji, April 21 (IANS) The Congress party is confident of winning the April 23 elections to the two Lok Sabha seats in Goa and the three assembly bypolls with a 5-0 scoreline, state Congress president Girish Chodankar said on Sunday. New Delhi, April 21 (IANS) The Congress on Sunday accused the Centre of stirring a row over the number of terrorists killed in the air strike by India on a JeM camp at Balakot in Pakistan. Chennai, April 21 (IANS) Tamil Nadu Chief Minister K. Palaniswami and Deputy Chief Minister O. Panneerselvam condemned the mass killings by suicide bombers in Sri Lanka on Sunday. Bhopal, April 21 (IANS) The Election Commission on Sunday issued a show cause notice to Sadhvi Pragya Thakur, the BJP candidate from Bhopal, for her controversial remarks about the Babri Masjid demolition. Colombo, April 21 (IANS) Sri Lanka declared a nationwide curfew after a string of eight explosions, mostly in Colombo, left at least 185 people dead and over 400 injured on Easter Sunday, authorities said. New Delhi, April 21 (IANS) Delhi Chief Minister Arvind Kejriwal expressed grief over the mass killings by suicide bombers in Sri Lanka on Sunday and said that acts of terror should be condemned in strongest terms. Washington, April 21 (IANS) Tulsi Gabbard, the first Hindu US Congresswoman and Democratic 2020 presidential candidate, has vastly outraised Senator Kamala Harris of Indian and Jamaican descent among Indian-American donors in the 2020 presidential fundraising derby so far. 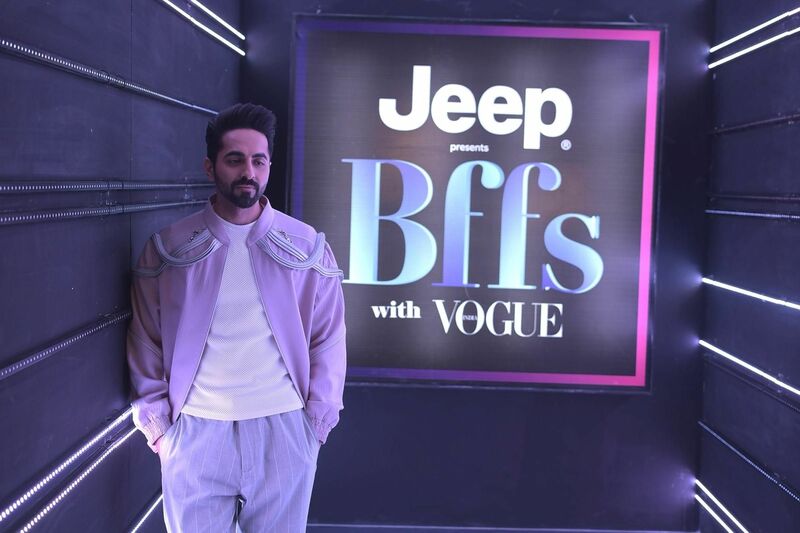 San Francisco, April 21 (IANS) Electric vehicle (EV)-maker Tesla has slammed Randeep Hothi -- one of the short-sellers of the company and also its prominent Twitter critic -- with a restraining order on charges of stalking, harassing and endangering company employees. Lucknow, April 21 (IANS) Accusing Prime Minister Narendra Modi of failing to keep his promises made to the people of Uttar Pradesh, BSP President Mayawati on Sunday said that those who voted him to power can also throw him out. Colombo, April 21 (IANS) Two persons were killed when a fresh explosion rocked the Sri Lankan capital on Easter Sunday, authorities said. 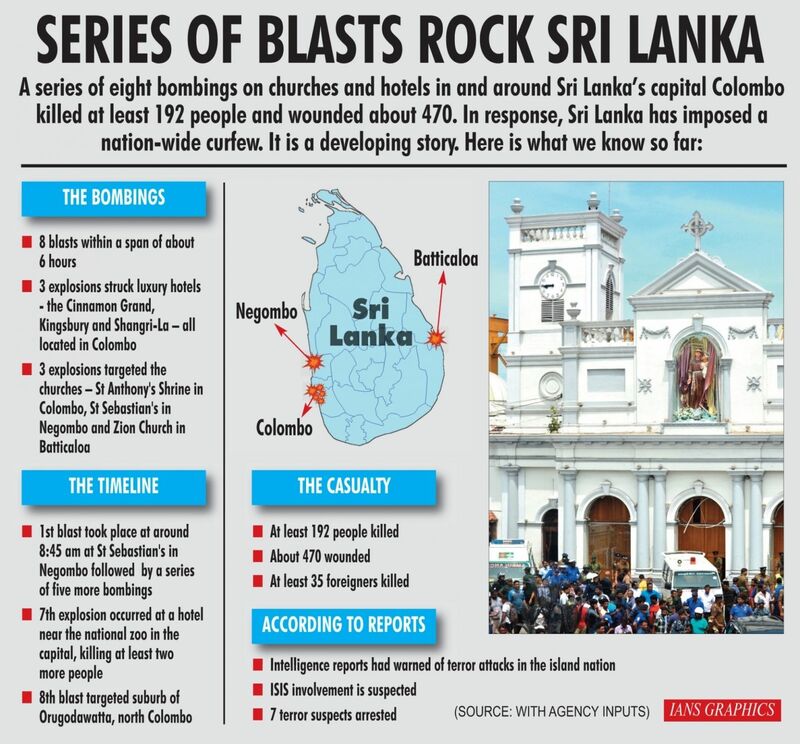 Colombo, April 21 (IANS) At least 156 people were killed and more than 400 injured when suicide bombers exploded themselves in three luxury hotels and three churches in Sri Lanka on Easter Sunday in the island's bloodiest day since the civil war ended a decade ago. Gurugram, April 21 (IANS) Residents of 72 villages in Gurugram's IMT Maneser area may boycott the Lok Sabha elections after the Haryana State Industrial and Infrastructure Development Corporation (HSIIDC) served notices to take back Rs 35 lakh from a compensation amount given to the farmers for land acquisition. New Delhi, April 21 (IANS) Going by the poll manifestos published by major political parties, the use of digital technology is likely to get a boost under the new government that will come to power after the Lok Sabha election results on May 23. 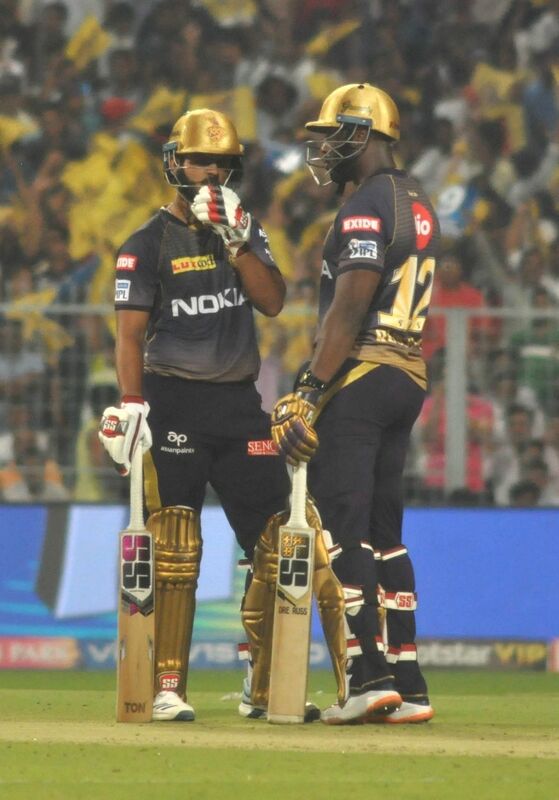 New Delhi, April 21 (IANS) The way Kings XI Punjab opener Chris Gayle was batting against the Delhi Capitals at the Feroz Shah Kotla here, it needed something magical from the hosts to dismiss the West Indian. 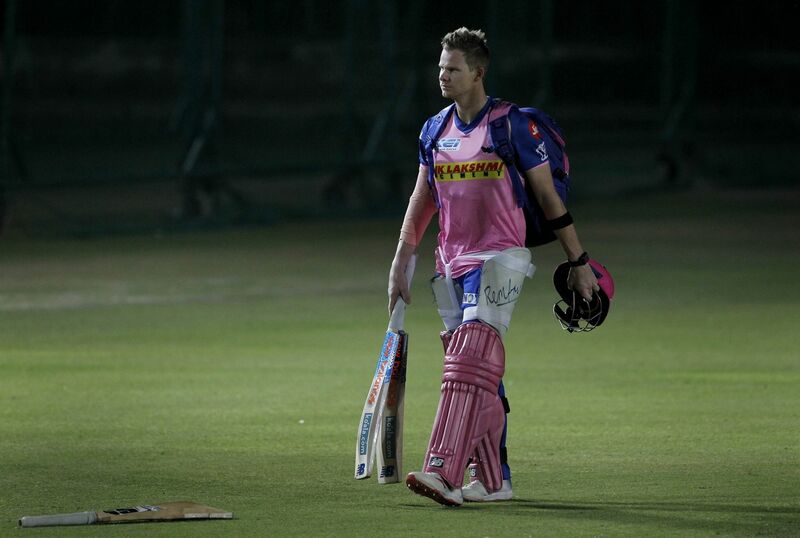 And it was Colin Ingram's brilliance in the outfield that ended Gayle's blistering knock. Los Angeles, April 21 (IANS) Pop singer Justin Bieber posted a racy comment about his wife and model Hailey Baldwin on model Kendall Jenner's photograph. San Francisco, April 21 (IANS) Amazon's online shoppers are being fooled by fake review factories running on multiple Facebook groups. Mumbai, April 21 (IANS) With the general elections underway and with all its associated volatility in full play, foreign institution investors (FIIs) have lapped up the banking stocks to strengthen their position in the market and maximise trading gains in this election season. Kolkata, April 21 (IANS) West Bengal Chief Minister Mamata Banerjee on Sunday expressed grief and concern over the blasts in Sri Lanka in which at least 138 people were killed and more than 400 injured. New Delhi, April 21 (IANS) With just 20 days to go for polling in the national capital, suspense continues over Delhi's ruling Aam Aadmi Party (AAP) and the Congress on forming an alliance to take on the BJP. New Delhi, April 21 (IANS) Aviation in India has attracted entrepreneurs like moths to a flame but only a few have managed to survive and thrive in a sector which has become the graveyard of all kinds of airline business models -- budget, full service and hybrid. London, April 21 (IANS) England batsman Alex Hales has gone on an indefinite break due to personal reasons, thus putting a question mark over his availability in the World Cup slated to begin from May 30. New Delhi, April 21 (IANS) Bullish on the Indian luxury smart watches market, US-based wearable major Garmin is set to introduce its super premium 'MARQ' line-up of smartwatches in the third quarter of 2019. Kiev, April 21 (IANS) Ukrainians voted on Sunday in the second round of the country's presidential election, with incumbent leader Petro Poroshenko seeking re-election, while TV comedian Volodymyr Zelenskiy is making his foray into mainstream politics for the first time. 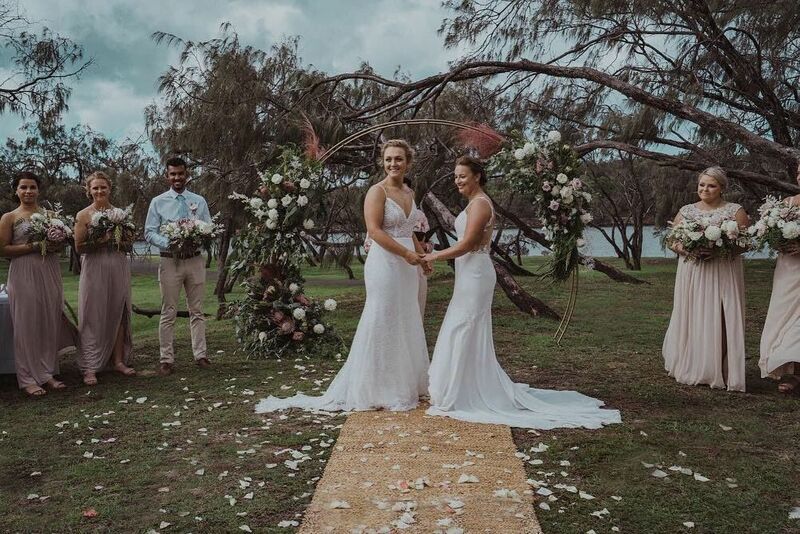 Los Angeles, April 21 (IANS) TV host Steve Harvey's daughter Lori and his wife Marjorie received flak on social media for sharing a photograph of them kissing on the lips. New Delhi, April 21 (IANS) Even as Jet Airway's lenders are confident of selling their stake in the temporarily grounded airline, they have prepared a contingency plan which includes taking the company to Debt Recovery Tribunal (DRT), sources said. Colombo, April 21 (IANS) At least 138 people were killed and more than 400 injured when a string of suicide bombings rocked luxury hotels and churches in Sri Lanka on Easter Sunday in the island's bloodiest day since the end of the civil war, media reports said. New Delhi, April 21 (IANS) Next time when Netflix or Amazon shows you what you should be watching or shopping next, do not just let that notification pass by. Mumbai, April 21 (IANS) Political stalwarts, scions of major political families and rebels are in fray for the 14 parliamentary constituencies in Maharashtra, which will go to polls in the third phase of Lok Sabha elections on April 23. Shimoga (Karnataka), April 21 (IANS) In the battle for supremacy in Karnataka's Malnad region, sons of two former Chief Ministers will lock horns for the prestigious Shimoga Lok Sabha seat in the third phase of polling on April 23. Lahore, April 21 (IANS) Pakistan wrist-spinner Shadab Khan has been ruled out of the upcoming limited-overs series against England due to illness. Mumbai, April 21 (IANS) The Indian equity market is expected to maintain its northward trajectory in the week ahead as healthy fourth quarter (Q4) earning numbers and anticipation of a stable Central government buoy investors' sentiments, analysts said. New Delhi, April 21 (IANS) Supporters of Delhi Congress leader Raj Kumar Chauhan on Sunday staged a protest outside party President Rahul Gandhi's residence here over rumours that he was being denied a ticket by giving preference to an outsider. 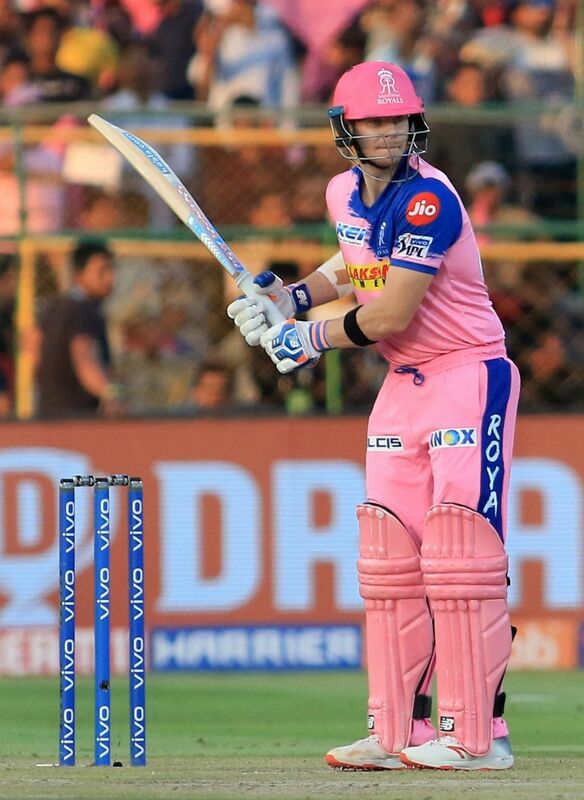 Jaipur, April 21 (IANS) Having secured a much-needed victory against Mumbai Indians, Rajasthan Royals will look to continue with the winning momentum against an in-form Delhi Capitals (DC) when the two teams meet at the Sawai Mansingh Stadium on Monday. New Delhi, April 21 (IANS) The resolution of 40,000 MW of stressed power projects has come to a standstill with lenders turning reluctant to engage with investors in the absence of fresh directions from the Reserve Bank of India and regulatory overreach that has made lowering of tariff mandatory from projects being sold at lower valuations. Barcelona, April 21 (IANS) A solid if not inspired performance was enough for Barcelona to prevail 2-1 over Real Sociedad and leave themselves needing just six points to clinch the La Liga title. Srinagar, April 21 (IANS) Peoples Conference (PC) chief Sajad Lone on Sunday expressed concern over the health of Jammu and Kashmir Liberation Front (JKLF) Chairman Muhammad Yasin Malik and hoped the national investigation agency (NIA) understood his position. San Francisco, April 21 (IANS) Swiss watchmaker Swatch defeated Apple in a legal battle where the iPhone-maker claimed that the watch company used the phrase "One More Thing" -- which was regularly used by Steve Jobs in his key notes. Bhopal, April 21 (IANS) Bharatiya Janata Party (BJP) candidate from the Bhopal parliamentary consituency in Madhya Pradesh Sadhvi Pragya Thakur said on Sunday that she takes pride in the demolition of the Babri Masjid. New York, April 21 (IANS) Many working women feel they are being pushed out of their jobs when they become pregnant while new fathers often get a boost in their careers, say researchers. New Delhi, April 21 (IANS) External Affairs Minister Sushma Swaraj said on Sunday that she was in touch with the Indian High Commissioner in Colombo as six explosions hit churches and hotels in Sri Lanka, killing at least 20 people. Colombo, April 21 (IANS) At least 20 people were killed and over 200 others injured in six explosions on Sunday that targeted churches and five-star hotels in Sri Lanka, media reports said. Shimla, April 21 (IANS) It's 'blind love' for two BJP politician fathers when it comes to supporting their sons in the Lok Sabha elections in Himachal Pradesh. 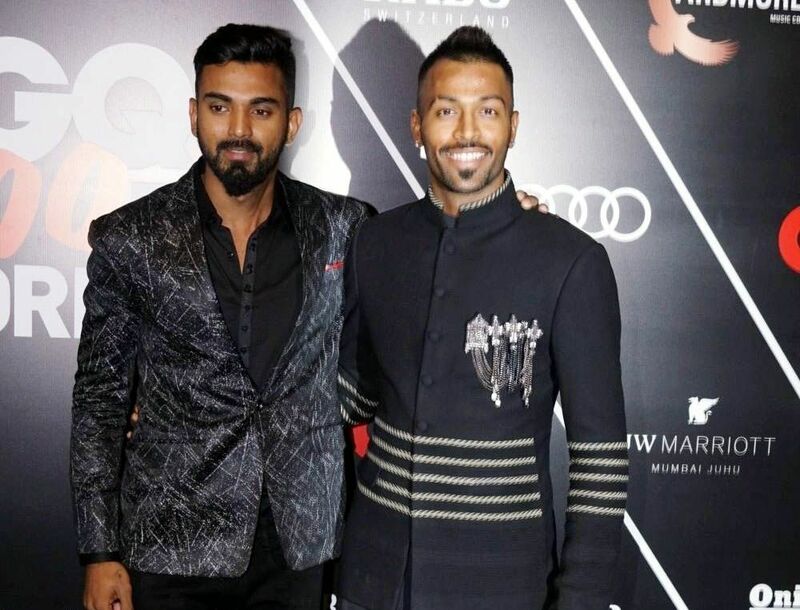 New Delhi, April 21 (IANS) Kings XI Punjab (KXIP) skipper R Ashwin was at the receiving end of Shikhar Dhawan's mocking when the off-spinner tried to 'Mankad' the Delhi Capitals (DC) batsman during the game in the ongoing Indian Premier League (IPL) edition at the Feroz Shah Kotla. New York, April 21 (IANS) An Indian American researcher-led team has found that giving human touch to chat bots like Apple Siri or Amazon Alexa may actually disappoint users. New Delhi, April 21 (IANS) Anyone who crosses Delhis Lodhi-Mathura road's roundabout would remember a colossal Mughal-era monument that stands on it -- the Subz Burj, hidden under scaffolding for heritage conservation. An example of resplendent Islamic architecture of India, it is the first introduction of a dense ensemble of garden tombs that dot the 170-acre area around the historic red-sandstone Humayuns Tomb built by emperor Akbar. There was a famous saying in the film industry, which was a filmmakers answer to all criticism and that was: Let the figures speak. Not at all strange that both, the one who criticised a film as well as the one who defended it, used the same phrase! One of them got the satisfaction of being proved right albeit, at the others discomfort. Films of a maker like Manmohan Desai, for instance, were always panned by critics but the collection figures spoke for his films. New Delhi, April 21 (IANS) It was a sunny Sunday morning in the national capital with the minimum temperature recorded three notches below the season's average at 20.6 degrees Celsius, the Met office said. 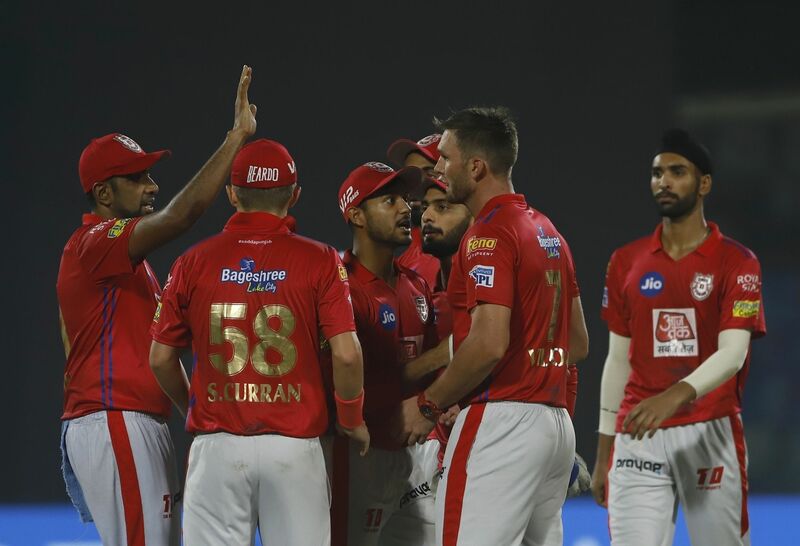 New Delhi, April 21 (IANS) Kings XI Punjab captain R. Ashwin was fined after his team maintained a slow over-rate during their five-wicket loss to Delhi Capitals in the ongoing edition of the Indian Premier League (IPL) at the Feroz Shah Kotla on Saturday. New York, April 21 (IANS) As the debate over gun regulations rages globally, researchers now report that the Dark Web has become a big market for weapons trade. Colombo, April 21 (IANS) Explosions were reported on Sunday at three churches in Sri Lanka as Christians celebrated Easter and also in two five-star hotels, the media reported. 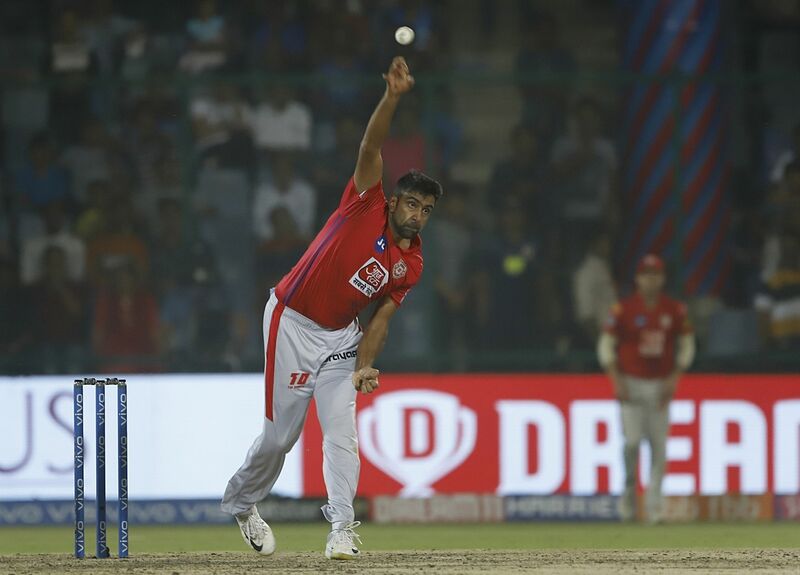 New Delhi, April 21 (IANS) After succumbing to a five-wicket loss to Delhi Capitals on Saturday, Kings XI Punjab captain R. Ashwin said his team needs to catch momentum and come back on the winning track in the remaining games of the ongoing Indian Premier League (IPL) season. 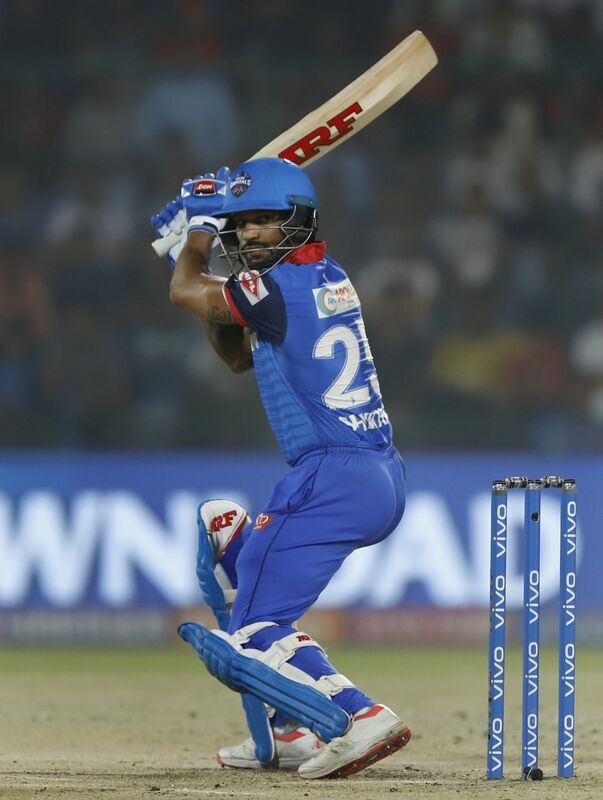 New Delhi, April 21 (IANS) After securing a much-needed win against Kings XI Punjab, Delhi Capitals skipper Shreyas Iyer heaped praise on Shikhar Dhawan, saying that the "fearless cricket" played by the senior batsman is helping the team in the ongoing edition of the Indian Premier League (IPL). Colombo, April 21 (IANS) Explosions were reported on Sunday at two churches in Sri Lanka as Christians celebrated Easter, the BBC reported. London, April 21 (IANS) Millions of people are using easy-to-guess passwords on sensitive accounts, with "123456" being the most widely-used on breached accounts, suggests a security study. New York, April 21 (IANS) Indian and the US Navies have held a joint submarine-hunting exercise in the Indian Ocean, aiming to lay the groundwork for coordinating maritime patrol and reconnaissance, according to the US Navy. Lucknow, April 21 (IANS) At least seven people were killed and 30 others injured on Sunday when a Varanasi-bound passenger bus collided head-on with a truck in Uttar Pradesh's Mainpuri district, police said. Paris, April 21 (IANS) Riot police unleashed tear gas at the so-called "yellow vest" protesters who took the streets of the French capital against economic injustice for the 23rd consecutive weekend, the media reported. Miami, April 21 (IANS) Thick plumes of smoke rose over a SpaceX facility in Florida during a test fire of a Crew Dragon spacecraft and the issue was serious, it could derail plans to fly astronauts aboard the capsule later this year, the media reported. Washington, April 21 (IANS) Former and current employees at a Boeing plant in South Carolina that produces the company's 787 Dreamliner jet have claimed that the factory has been plagued by shoddy production and weak oversight that have threatened to compromise safety, The New York Times said in a report. Washington, April 21 (IANS) The US has launched a multi-million dollar clean-up operation at an air base in Vietnam it used to store the notorious chemical Agent Orange. Roquebrune-Cap-Martin (France), April 21 (IANS) Italy's Fabio Fognini has pulled off a big upset here, ending Rafa Nadal's bid for a record-extending 12th Monte Carlo title with a straight set win over the Spaniard in the semifinal. Nur-Sultan, April 21 (IANS) Eleven people were killed and 29 others injured on Saturday in a bus accident in Kazakhstan, the Interior Ministry said. 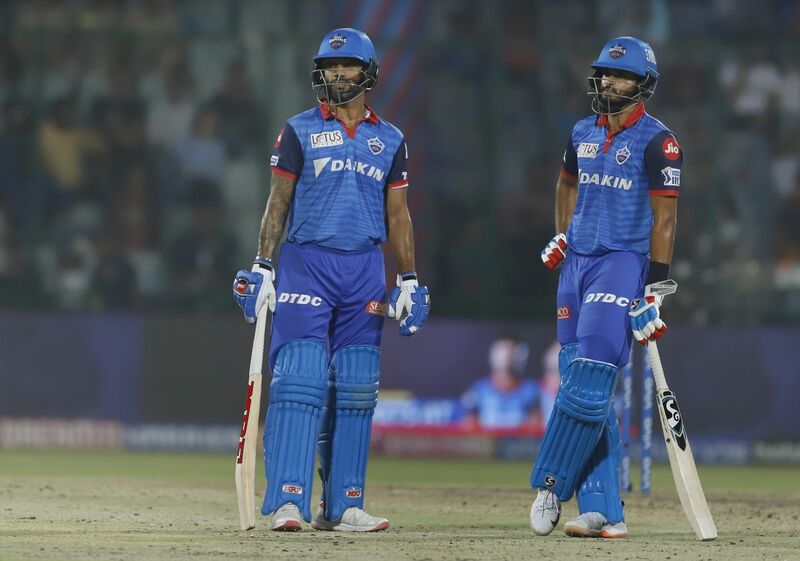 New Delhi, April 21 (IANS) Opener Shikhar Dhawan (56) and skipper Shreyas Iyer (58*) led from the front as Delhi Capitals turned their poor home record with a convincing 5-wicket win over Kings XI Punjab at the Feroz Shah Kotla on Saturday. They reached 166/5 with two balls to spare. With the win, DC now have 12 points from 10 games and have moved one step closer to qualifying for the play-offs. Shivpuri (Madhya Pradesh), April 21 (IANS) Congress' Guna candidate Jyotiraditya Scindia, who belongs to the erstwhile Gwalior princely dynasty, owns properties worth over Rs 2 billion, including a palace that he got as part of his inheritance. Gurugram, April 20 (IANS) An alert constable foiled the escape bid of a thief after he jumped off from the first floor of a police station here early on Saturday, police said. Bhopal, April 20 (IANS) The Election Commission in Madhya Pradesh on Saturday served a notice on BJP's Lok Sabha candidate Sadhvi Pragya Thakur over her controversial remarks about Hemant Karkare, the senior police officer who was martyred in the terrorist attack in Mumbai on November 26, 2008.